In 1848 John Henry Newman published his novel “Loss and Gain: The Story of a Convert.” Recently re-published in paperback by the Echo Library, its beautiful prose and moving narrative is well worth reading – especially as we reflect on Newman’s beatification. It was Newman’s first literary offering after becoming a Catholic in 1845. It was originally distributed by Burns and Oates, whose owner, James Burns, had issued some of the Tracts of the Oxford Movement. Burns disseminated several of Newman’s theological works – books which saved the company from financial ruin. It may even be that “Loss and Gain” was written with a more popular market in mind, in order to help Burns – who became a Catholic in 1847 – to survive. It was republished eight times during Newman’s lifetime. 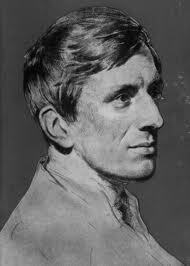 “Loss and Gain” is set in the early Victorian Oxford University that Newman knew so well. It is the story of a young student, Charles Reding, the son of an Anglican clergyman, and the boy’s struggle to find definition to his Christian faith. As the narrative unfolds, we are introduced to Reding’s friends and tutors, and to the theological controversies and factions that were shaping the lives of a generation. Newman astutely observes – and surely this is true for anyone arriving in any hall of residence at any university at any time – that “Almost everything depends at Oxford, in the matter of your acquaintance, on proximity of rooms. You choose your friend, not so much by your tastes, as by your staircase.” In the case of Charles Reding this finds him living on the same staircase at St.Saviour’s College as William Sheffield, also a parson’s son. Reding embarks on his studies, initially keen to take a conventional main-stream Anglican path, and not to become drawn into any of the factions. Sheffield, by contrast, will say, do and believe whatever is necessary to emerge safely with the university’s best degree. Reding and Sheffield’s paths diverge as Reding comes to realise that, even if he passes his examinations, ensuring graduation, he will be required to take an oath assenting to the 39 Articles of the Protestant Reformation. Gradually he comes to understand that his conscience will not permit this. Newman now introduces us to Reding’s other compatriots and to their disputations. We meet Freeborn, a zealous young evangelical, who is insistent that salvation will come through faith alone, without the sacraments or the panoply offered by the comforts of the Church, and certainly not by works. Here is Bateman who is an ardent High Anglican, delighting in Gothic architecture, vestments, and all the accoutrements, from piscine to tabernacles, but who views the Pope and the Roman Catholic faith as threatening, foreign, and un-English. And here is Willis, who abandons his studies and becomes a Catholic, and despite attempts by Bateman to “reconvert” him, is ordained as a Catholic priest. We also meet Reding’s teachers – Mr.Upton, who lectures on the 39 Articles and reports Reding for asking questions which he regards as suspicious and revealing a leaning towards Catholicism; and then Jennings, the Vice Principal, who, after interrogating Reding about his religious beliefs, sends him home, fearing that Reding’s beliefs might corrupt other students. Most moving of all, as we see Reding part from his College and from his friends, we see him part from his family too. Reding’s father has died while Charles is at Oxford. It is to his sister, Mary that he turns and reveals the nature of his troubled soul. She sees his doubt as a betrayal of his family, of their hopes for him – and for themselves. His mother becomes cold with Charles, rejecting him as he tries to explain his spiritual dilemma and the beliefs to which his journey has led. Separated from family and friends, Charles now travels to London. On his train journey he encounters a Catholic priest – the first he has ever met (despite the constant accusations to which he is subjected of conspiring secretly with Jesuits). At his London lodgings he is beset by a series of visitors who try to inveigle him into various philosophical or religious cults and sects. Charles finally arrives at the Passionist Convent in London, where he is received into the Church, with his friend, Willis present. Now Fr.Aloysius – a Passionist priest – in his joy Willis physically lifts Charles off the ground. Reding tells Willis: “Too late have I known Thee, O Thou Ancient truth; too late have I found Thee, First and only Fair.” Like the fictional Reding, Newman was received into the Catholic Church by a Passionist priest, Blessed Dominic Barberi. In 1845 Fr.Dominic had visited Newman at Littlemore. In his 1864 autobiography, “Apologia Pro Vita Sua,” Newman describes how the Passionist was soaked to the skin by torrential rain and, as Fr.Dominic dried himself by the fire, Newman knelt and asked to be received into the Church. Have we any right to take it strange, if, in this English land, the spring-time of the Church should turn out to be an English spring, an uncertain, anxious time of hope and fear, of joy and suffering,–of bright promise and budding hopes, yet withal, of keen blasts, and cold showers, and sudden storms? Newman understood better than anyone that this new birth would not be without pain. In revisiting Newman’s “Loss and Gain”, we learn a lot about his personal journey but also, why, over 160 years later, men and women are still struggling with the same questions and making the same journey.